New collection of Collectif! 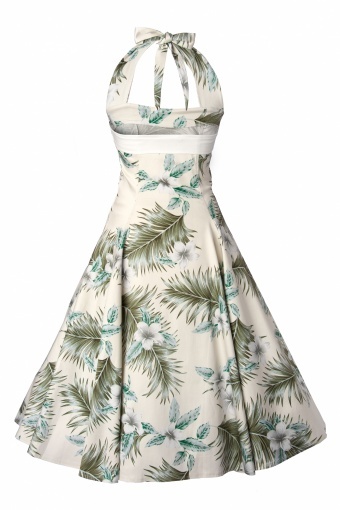 The 50s Stella Sweetheart Dress White Hibiscus is a greats ummer dress. 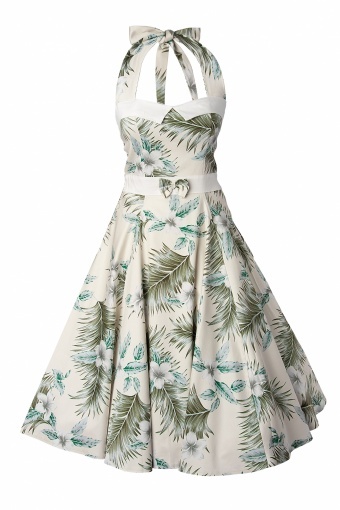 Inspired by the 50s, but it is also timeless. 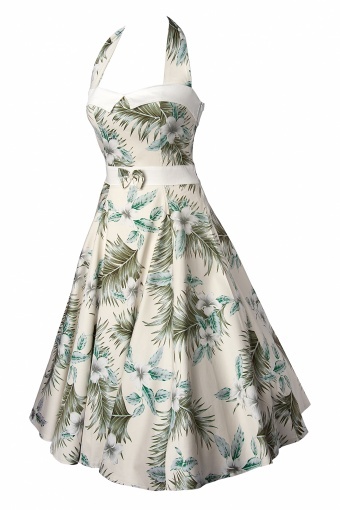 The stylish off-white / green Hibiscus print in combination with this über cute model makes this dress more sassy.This Stella style is a bestseller and it comes back every collection in another print. However Collectif tuned it up and made it even better putting the halter straps more sideways and from wide to narrow shaped. 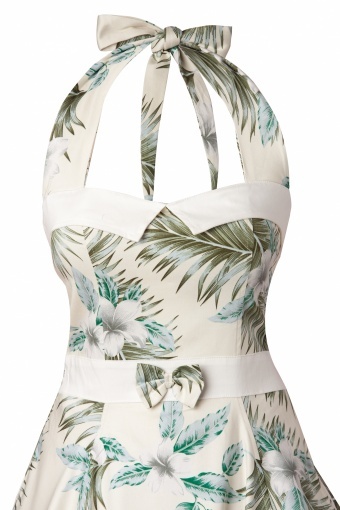 This gives it more class and is very flattering for armpit 'bumps'. The waistband is less highly placed so that each cupsize fits nicely in here. The cute little bow is the cherry on the cake. To give it more drama it can be worn with a petticoat. This dress looks great on every body type! 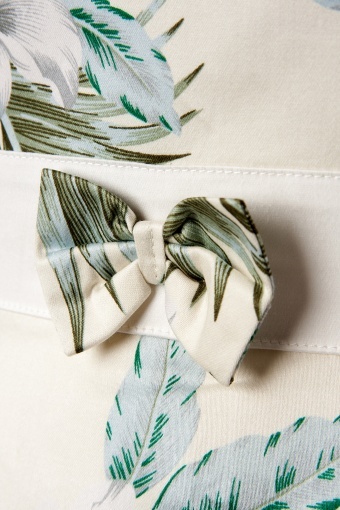 You guessed it: this print is one of Angelique's favourites and making choices is very difficult, so we have different models of this collection purchased in this fantastic print!